VANCOUVER, B.C. 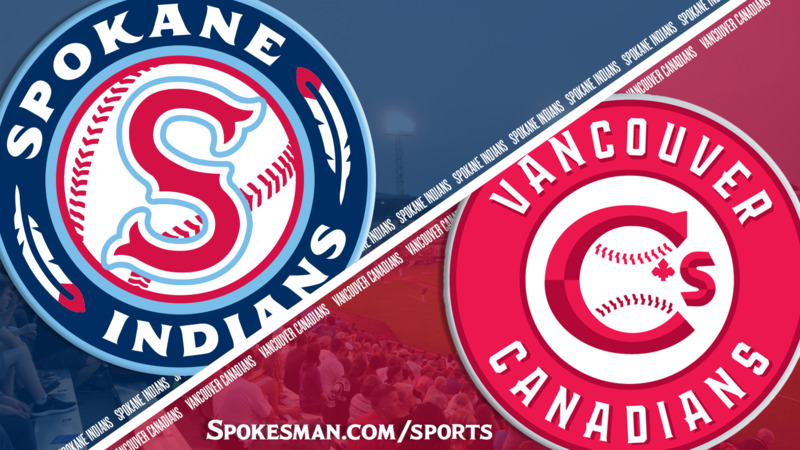 – Josh Winckowski allowed just four hits in seven shutout innings and the Vancouver Canadians scored all their runs in the bottom of the eighth inning to pull out a 4-0 victory over the Spokane Indians in Northwest League play on Sunday afternoon. Spokane starter Jake Latz matched Winckowski inning after inning until a disastrous eighth inning. Vancouver’s Jesus Severino doubled to lead off the inning and Sterling Guzman followed with a walk. Nick Podkul laid down a sacrifice bunt, but Latz threw the ball away allowing Severino to score and putting runners at second and third base with no outs. Austin Pettibone replaced Latz and induced groundouts from Otto Lopez and Tanner Kirwer. The Indians appeared to get out of the inning but a fielding error by third baseman Cristian Inoa allowed Guzman to score for a 2-0 lead. Yorman Rodriguez singled in pair of runs to cap the scoring, but was thrown out trying to stretch his single into a double. Latz (4-2) allowed three unearned runs in his seven innings of work. He fanned three and walked a batter. Pettibone surrendered one unearned run in an inning of work and lowered his earned-run average to 0.96 on season. With the loss, Spokane (13-11) falls two games behind first-place Vancouver (15-9) in the second-half standings. Published: Aug. 19, 2018, 9:16 p.m.